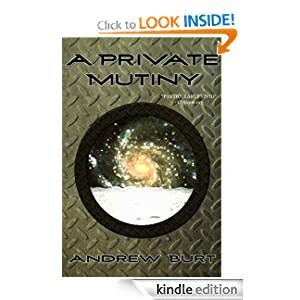 It's the story of a group of colonists heading for the promised land of a new planet... crammed into a beat-to-hell freighter turned plague ship. :) This was originally published in the (pro-rate-paying but all too shortlived) Oceans of the Mind. It has a cool cover from Melissa Lytton. I'm also experimenting by putting it in the Amazon lending library — but that's topic #3 below. Anyway, check it out... I hope you enjoy it! Topic#2... Ben Bova's latest ebook is now out! It's The Dueling Machine, about virtual reality warfare. Cool topic and a fun book! I also loved the cover by Clay Hagebusch so I want to give a shout out to him. While we're on the topic of Amazon and the library [and thus beings Writerly SubTopic#3A, of interest only to authors], I'm aware of at least four Amazon lending programs — you need a scorecard to keep these things straight. Each has potential advantages and disadvantages for authors. So for today's too-long-post, I'll just start with trying to sort them out for you. 1. The Kindle Lending Library — kindle owners can loan out a book they bought to one other kindle owner for 14 days, once ever per book. All KDP books at the 70% royalty level are mandatorily included in this program; 35% titles get a choice. This seems fairly harmless, except for the clause in the agreement that says Amazon can change it any time they want to be anything they want. 3. K.O.L.L. + "Author gets paid for every copy borrowed", as was announced a few weeks back, kicked off this thread, and which could be a really bad deal for authors, depending on exactly what the contract says... but nobody I've asked seems to have a copy of this agreement. It's unclear, without seeing the contract, if the author can ever actually disengage from this program, or if copies sold into it remain there in perpetuity, under ever-changeable terms. This is the kind of thing SFWA should get involved in, as a helpful thing to members and all writers. I've nudged, but not much motion as yet. 4. K.O.L.L. + "Some publishers agreed to share a pool of money somehow"... This sounds similar to #2 but for bigger publishers, and which raises questions about whether the publishers have the authority to agree to that and how authors would get paid fairly. Again, something SFWA ought to be looking into, since it offers insight into Amazon's strategic thinking and future directions.